We all know that Facebook is one of the most widely used social media platforms in recent history. In fact, according to Pew Research Center, 79% of all online adults are on Facebook. These are moms, grandmas, sisters, brothers, aunts, uncles, and friends. Most importantly, these individuals are the people that will be looking at all of your content. Your content must catch their eye on their timelines. According to Brandwatch, users spend an average of 20 minutes per day on the site. This means that you have to quickly stand out above the hundreds of other posts competing for limited attention. How do you do this? Facebook images are the best method to draw your audience’s attention to your content. How do I select the right Facebook images? Choosing a Facebook image can be a daunting task. Selecting the best sized image for Facebook is the first step. Even the idea of a picture to match your message can sound complicated. There are a few rules to select the most appropriate images. 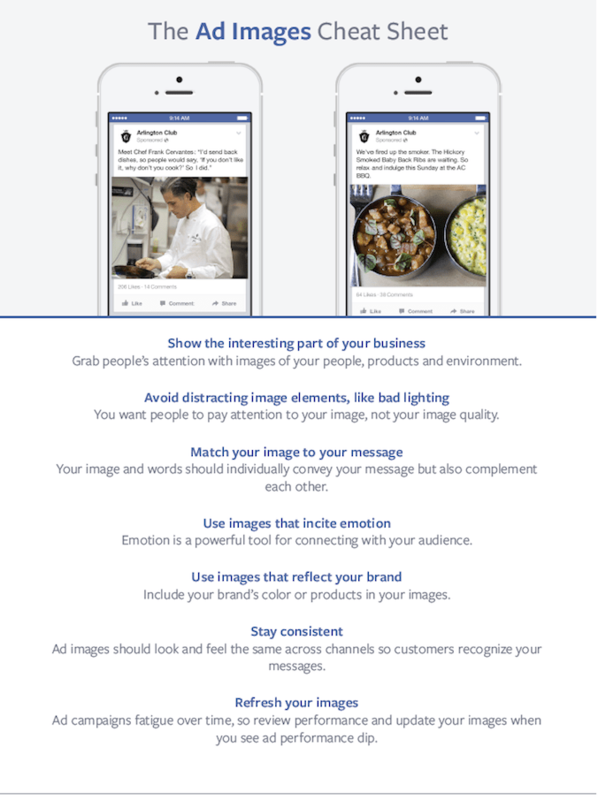 Facebook itself has published a cheat sheet about selecting the right images for an ad campaign. What can we learn from this, even if we’re not planning on purchasing Facebook Ads? First, we can learn that even your high traffic evergreen content can potentially become stale over time if it is not updated. 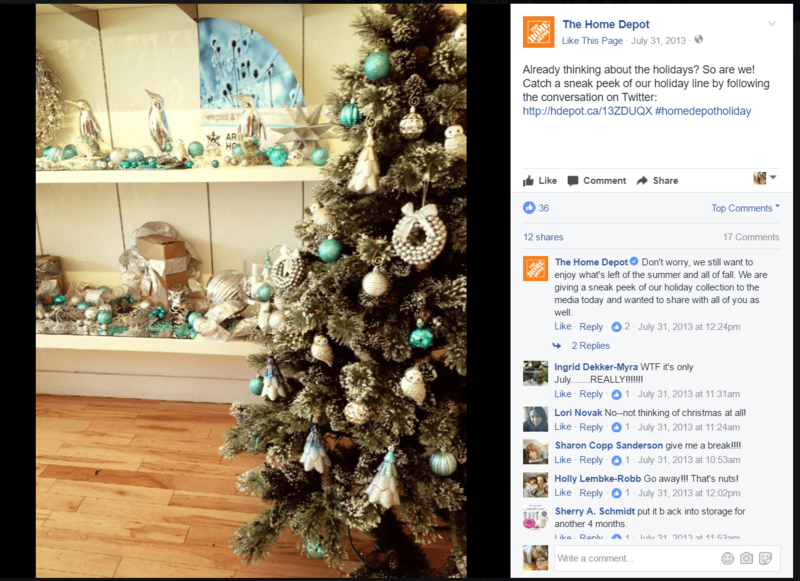 Refreshing the Facebook images in your evergreen content can draw a bigger crowd. Second, we learn that even something as minuscule as poor lighting can destroy interest in your post. The details in your images matter! Third, we can learn that even when using fresh images, consistency is important to keep your audience engaged. Related to this sentiment, make sure that your image is consistent with your message. Don’t choose a picture that makes no sense with what you’re talking about. If you’re writing about your restaurant, post an image that could’ve come directly from your restaurant, or even take a high quality, well-lit photo of your restaurant. Consider Facebook’s advice to keep your images fresh. The reason that this post stood out was that it was very simple to change the picture without needing to change any text at all. Just choose another photo of a holiday scene. Perhaps a scene with a family surrounding a beautifully decorated tree. Maybe a picture of a door with a wreath. Possibly even a GIF that showed this same door opening to reveal snippets of a Twitter conversation. The possibilities are simply endless with this post content and using Facebook images can draw your audience in even more. Why is this post effective? The story is told by the dog initially. This post has used a happy, healthy dog to draw your attention and then draws your attention even further by telling the dog’s story. 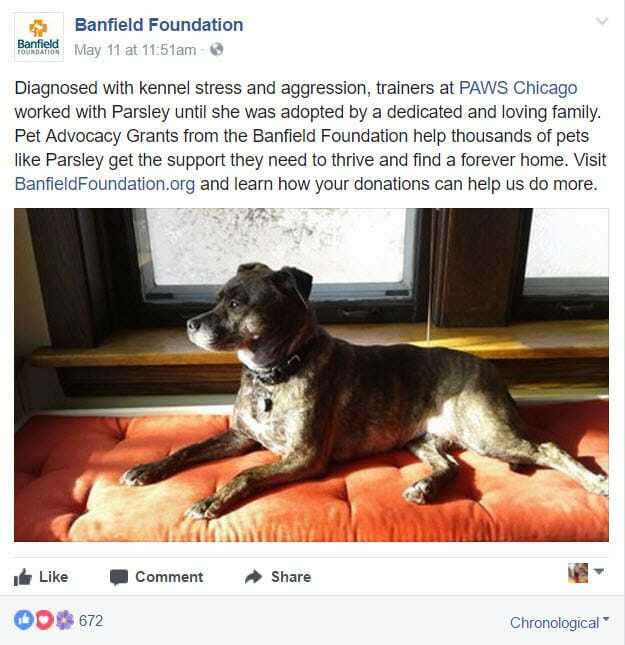 In this case, the dog, Parsley, had her life turned around by a grant offered by a non-profit organization. Posts like these can help your audience understand the good work that you’re doing and why you need further donations to help more pets. I find posts like these highly effective because they remind us of our own dogs and cats and therefore, help us to make a decision as to whether or not to donate funds to these causes. Most of all, make it personal! Your Facebook readers will not care about your story unless you care about your story. Make an appeal to your readers to help them understand why your business or topic is important. Help them to comprehend the appeal of your product or business and then help them access it. Stock images are helpful to draw attention, but helping your audience to connect with your posts on a personal level is the best way to reach someone who will remain loyal to your following for a long time to come. Show those you want to reach a new view into your life. Show them your surroundings or your business. Give them a behind the scenes look at what you would want them to know about the operations of your business. If you are running a non-profit organization, introduce your viewers to some of the beneficiaries of your donations. If you’re running a print shop, show them some of the products that you are passionate about. Even show them a team member who is dedicated to making the best product for a customer. Commitment is the name of the game with this type of post, and your images should reflect that. I found my perfect image, now what? Now that you’ve found your perfect image, there are a few steps that you will need to follow to make sure that Facebook picks out that image. 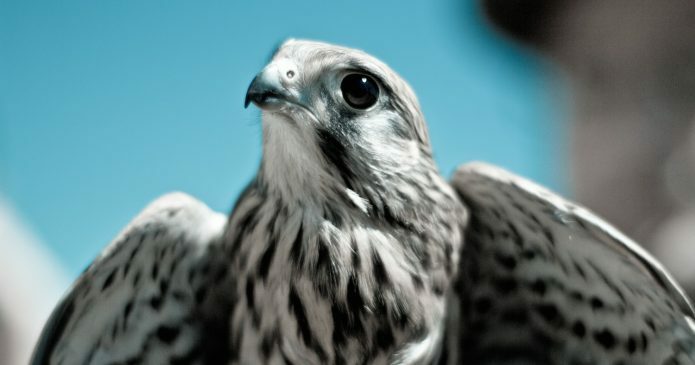 The best method to choose the correct image is to utilize Open Graph image tagging. This is the type of tagging that will most often tell Facebook which images are the best to use. If you use a WordPress site, you can utilize this procedure to add these tags to your posts. Once you have added your Open Graph tags to your post, you can simply put your RSS feed into dlvr.it to automatically pull and post your content. Simply prioritize your Open Graph tags as your preferred image detection, and dlvr.it will take care of the heavy lifting. Here’s some pro tips to control the images posted to Facebook. Once you’ve nailed your images, you may want to explore other pro tactics to boost the traffic and visibility of your Facebook page.